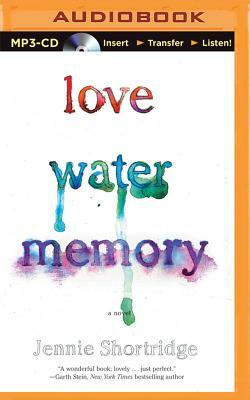 Waking up knee-deep in the San Francisco Bay with no understanding of how she got there, thirty-nine-year-old Lucie Walker discovers she has no memories of her past or her loving fiance, Grady. After being diagnosed with a rare form of amnesia, Lucie returns to her previous life with Grady in Seattle only to find evidence of the "old" Lucie--an insecure and shallow personality she no longer recognizes, or wants to. Like a detective, the new Lucie attempts to find the path from past to present, only to remember shocking pieces of a dark childhood that tempt her to run away from everything all over again. To complicate matters more, she finds herself falling in love with her fiance and his big close-knit clan of a family just as he seems to be falling out of love with her. But as Lucie begins to open up to the world around her, she realizes that she can build a future as the woman she wants to be, rather than the one her past dictated.